Dallas' Top Reality Stars of 2012. Chances are, even if you're not willing to admit it, you watched a lot of reality TV in 2012. And what you probably noticed during your covert viewing was that plenty of people from Dallas and the surrounding areas did a pretty remarkable job getting air time this year. In fact, some even left as the winners of some competition-based shows. Of all the Dallasites working the reality TV circuit, though, it's safe to say that none have been as successful as Melissa Rycroft, and, in 2012, Dallas' Reigning Reality Queen again had a banner year. Her most recent reality accomplishment? Winning the Dancing with the Stars: All Stars championship with partner Tony Dovolani — a show she first appeared on in 2009. In that same year, she was also one of the 25 bachelorettes vying for bachelor Jason Mesnick, whose heart she eventually won. Rycroft was also a part of Dallas Cowboys Cheerleaders: Making the Team's first season in 2006, and was eventually selected to be a part of the squad. Speaking of the Dallas Cowboys: Hall of Fame running back Emmitt Smith also returned to Dancing with the Stars this year for the All-Stars competition. Despite winning the competition his first go-around in 2006, Smith was eliminated in the ninth week of this season. Meanwhile, this season on The Bachelorette, apparent fan favorite and insurance agent Sean Lowe was the third-place finisher in the 2012 season. But even more newsworthy? Lowe's been cast in the titular role of 2013's The Bachelor season. 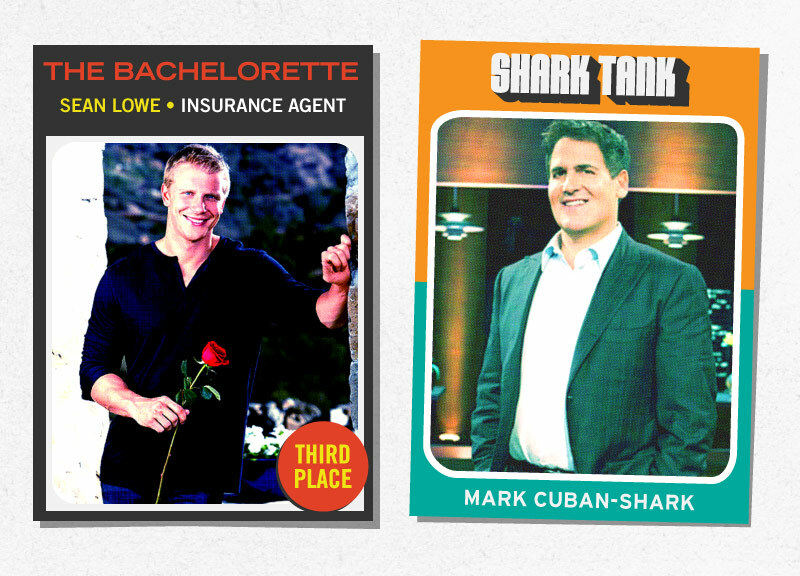 When it comes to real money, though, Mark Cuban is always tops in this town. So it makes perfect sense that he was chosen to be on Shark Tank, ABC's reality show where investors consider offers from entrepreneurs. It makes sense, too, that in its 11th season, American Idol once again tapped the North Texas well of talent for its show. This year, McKinney resident Hollie Cavanagh finished fourth on the ever-popular singing competition show. She won't be local much longer, however; Cavanagh recently announced that she'll be leaving Texas and heading to L.A. to record an album. She's hardly the only local to have bolted, though. Multi-talented onetime Dallas resident Demi Lovato took some time out from her music and acting careers to be a judge on X Factor this year. Despite going on record as saying she enjoyed her time on the show, it's not clear as to whether she'll return for another season as a judge alongside Britney Spears, L.A. Reid and Simon Cowell. But Lovato wasn't even the only Dallasite to get some shine on X Factor. One of the highlights from this year;s offering was Panda Ross, whose performance on the show is well worth watching. In the episode, Panda Ross is introduced to the nation and her excitement, sincerity and talent shine through, even impressing one Simon Cowell. Unfortunately, though, Ross was eliminated in the bootcamp round of the competition. 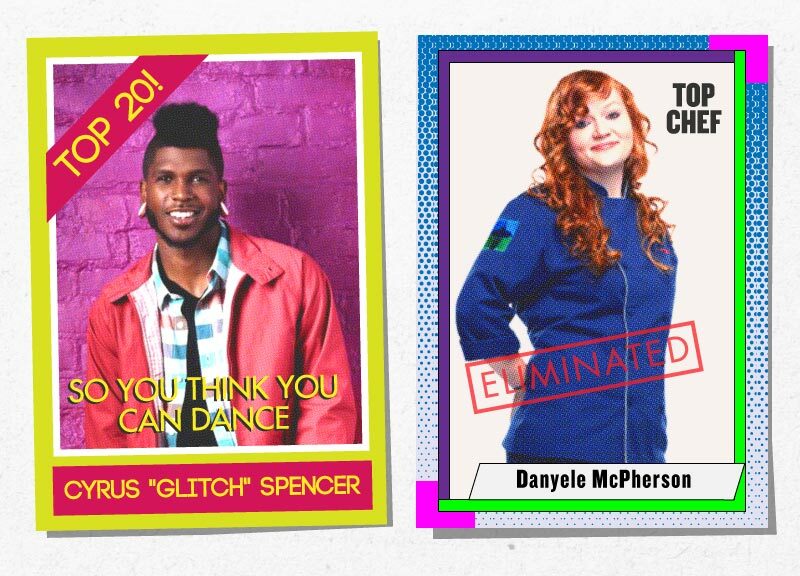 Dallas-born dancer Cyrus “Glitch” Spencer also started off well in 2012's So You Think You Can Dance run, reaching that competition's top 20 finalists. As such, when the show took a tour and made a stop at Grand Prairie's Verizon Theatre, Spencer was apparently the crowd favorite, according to one DMN report. 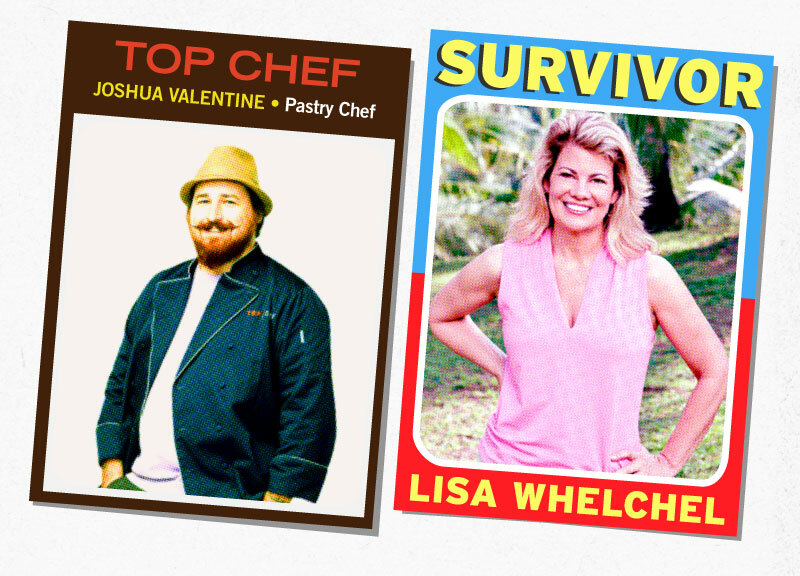 Speaking of fan favorites: On the 25th season of Survivor, former television star (best known for her role as Blair Warner on The Facts of Life) and Dallas resident Lisa Whelchel finished second on the show. Dallas hasn't, on the other hand, had much luck on the Top Chef front. 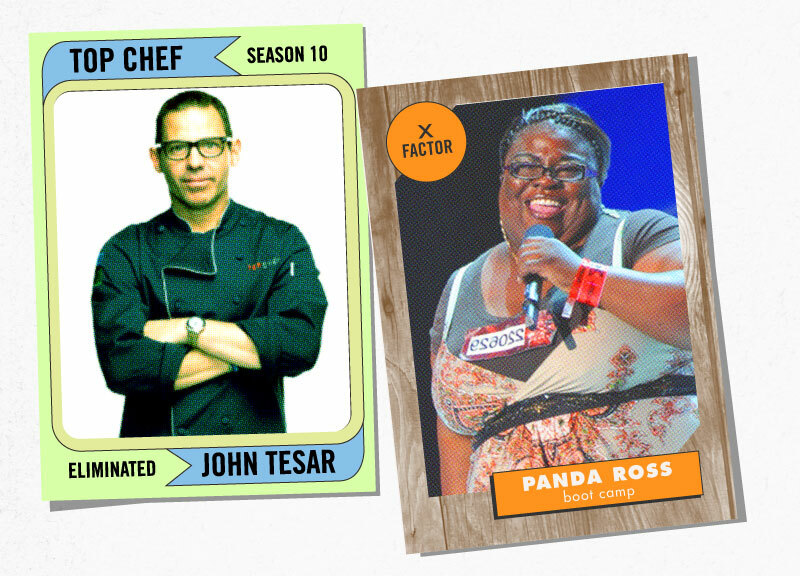 This despite the fact that this season's Top Chef: Seattle featured a whopping three contestants from the Metroplex. Of those three — Danyele McPherson (of The Grape), John Tesar (of Spoon Bar & Kitchen) and Joshua Valentine (of FT33) — only Valentine remains in that ongoing series at this point. That probably says something about the city's great culinary offerings. Dalllas may have shined brightest in 2012, though, on the shows in which there was no competition at all and in which the city itself served as the focused. There were a boatload of those this year, from Big Rich Texas to Storage Wars: Texas to yet another season of Dallas Cowboys Cheerleaders: Making the Team. Yes, it was another big year for Dallas in the reality world in 2012. There was also, lest we forget, the brief stint of Khloe and Lamar being filmed in Dallas during Odom's brief and turbulent stint with the Mavericks last season, too. Who knows who'll be the reality stars of 2013? Here's hoping they're at least borderline interesting. Previous ArticleNew Year, New Mavs?